A philanthropic leader, social entrepreneur and cross sector mobilizer on minority inclusion. His work is inspired by democratic values and universal norms shared by faith traditions and his leadership has challenged global extremism and ideologically motivated hate. He is the President of the El-Hibri Foundation, focused on cross sector approaches to foster inclusion across religious and political divides. His work focuses on investing in Muslim leaders in partnership with allies to build capacity and resilience. Prior to joining the Foundation, he led the think tank Institute for Social Policy and Understanding, where his work included advising White House officials, Homeland Security and other agencies on issues around national security, enhancing religious pluralism and equity. He spent over a decade in higher education focused on inclusion of underrepresented, low-income, and first-generation students. As a social entrepreneur, he founded Strategic Inspirations, a social impact consulting firm. Farhan serves as an advisory member on the Council on Foundations Public Policy Committee and the Executive Committee of the MGP Fund that was launched at Stanford University's Hasso Plattner Institute of Design (d.school). As an interfaith leader, Mr. Latif worked with national and local civic organizations to promote religious understanding and inclusion. He is also a fellow of the American Muslim Civic Leadership Institute. He serves as an advisory member on both the Muslim-Jewish Advisory Council and the Leadership Committee of the ACCESS Campaign to Take on Hate. Authors Genieve Abdo and Akbar Ahmad have chronicled Farhan’s journey in combating extremism and working towards inclusion in their books Mecca and Mainstreet: Muslim Life in America After 9/11 and Journey into America: The Challenge of Islam. Farhan has appeared on numerous media outlets, including ABC, FOX, BBC, LA Times, New York Times, The Wall Street Journal, Voice of America, Gulf Times and USA Today. Mr. Latif received an MA from Harvard University, where he completed a specialized interdisciplinary program on Social Entrepreneurship, Philanthropy and Education through graduate coursework at the Kennedy School of Government, Harvard Business School and Harvard Graduate School of Education. 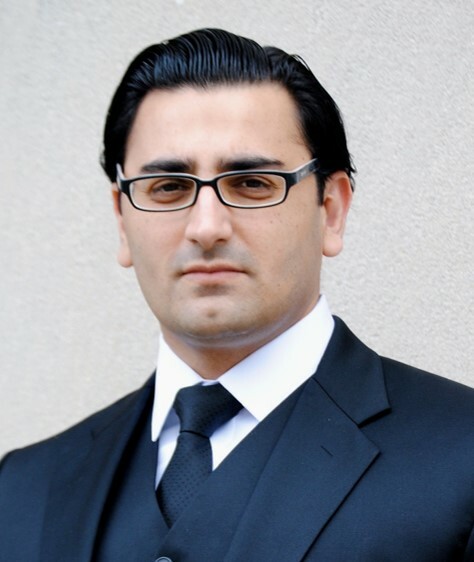 He also holds a degree in Business Management and Marketing, and completed graduate work in nonprofit management at the University of Michigan Dearborn.